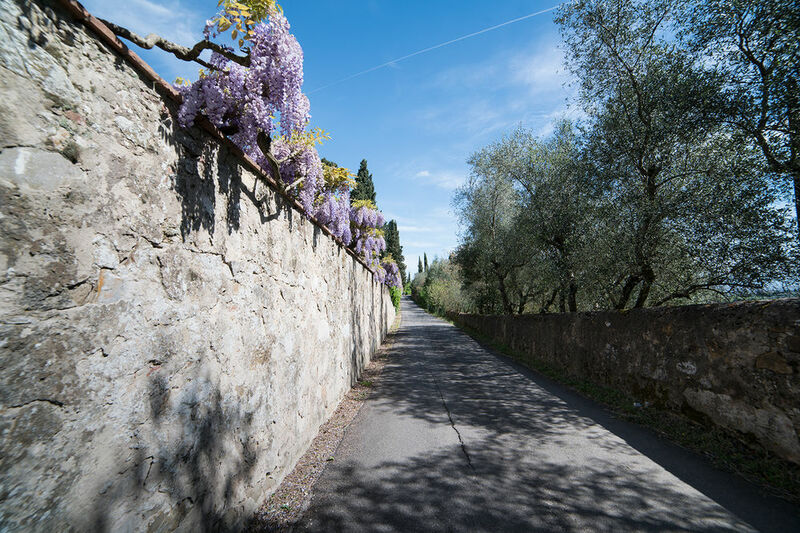 The territory around Lastra a Signa has the power to amaze you, revealing itself not all at once but slowly, one step at a time, as you discover all the villages, parish churches and nature trails in this area not far from Florence. Lastra, as its simply called by locals, is surrounded by many small hamlets, each one of which is perfect for visiting, if only for the views to be found amidst the olive groves and vineyards. Malmantile is one of these, still encircled by its historic defense walls. The town, with its bizarre name, once strongly reclaimed its fortress, considering nearby Lastra was prepared to take on any attack. This problem surely wasn’t an issue for the hermits that chose to isolate themselves at the convent in Lecceto, an admirable example of late-15th-century architecture that can be reached via a road dotted with tall cypress trees. And who doesn’t know about Ginestra Fiorentina, whose name alone speaks of aromas and green hills? This is where an important hospice for pilgrims travelling the via Francigena was once located. For wayfarers, there was the Hospice of Sant’Antonio in Lastra, which it’s said was designed by the great Brunelleschi. This isn’t known for sure, but the magnificence of the porch can’t be doubted, whose seven arches served as a refuge for nomads and the needy. Local legends abound in this area of Tuscany. There’s a place where history and myth intertwine, known as the Masso della Gonfolina, an enormous rock protected by magical beings like fairies, who have made this place sacred and resistant to every type of threat over the centuries, whether it be the tools of local stone carvers or the more destructive mines of the German army during World War II. If it’s legends you want to talk about, then there’s definitely one worth speaking about. The views from Lastra a Signa brought the A to the arias of the great tenor Enrico Caruso, who chose to make Villa Bellosguardo his home. This residence is now a museum dedicated to the star, where visitors can trace his fascinating career through period photographs, personal effects and stage costumes. So influenced will you be by this incredible life that it won’t be surprising when, strolling through the monumental park, you’ll almost think you could hear him singing.